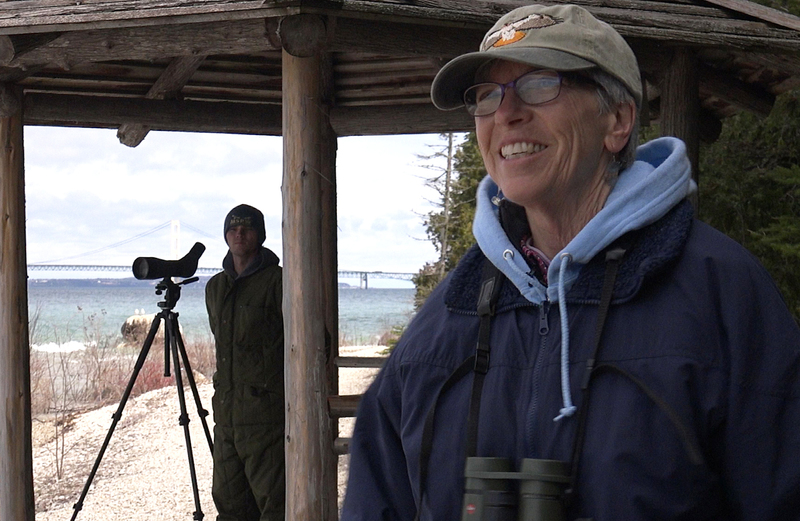 This video begins with a small group of avid bird watchers gathering in a field on the western outskirts of Mackinaw City. Each spring, bird enthusiasts gather to witness the spectacle overhead, share stories and keep the raptor counter company. The sky begins to fill with dozens of eagles, hawks, and vultures as the day warms. Most of these magnificent birds are circling and rising high into the air before making the flight across the Straits. 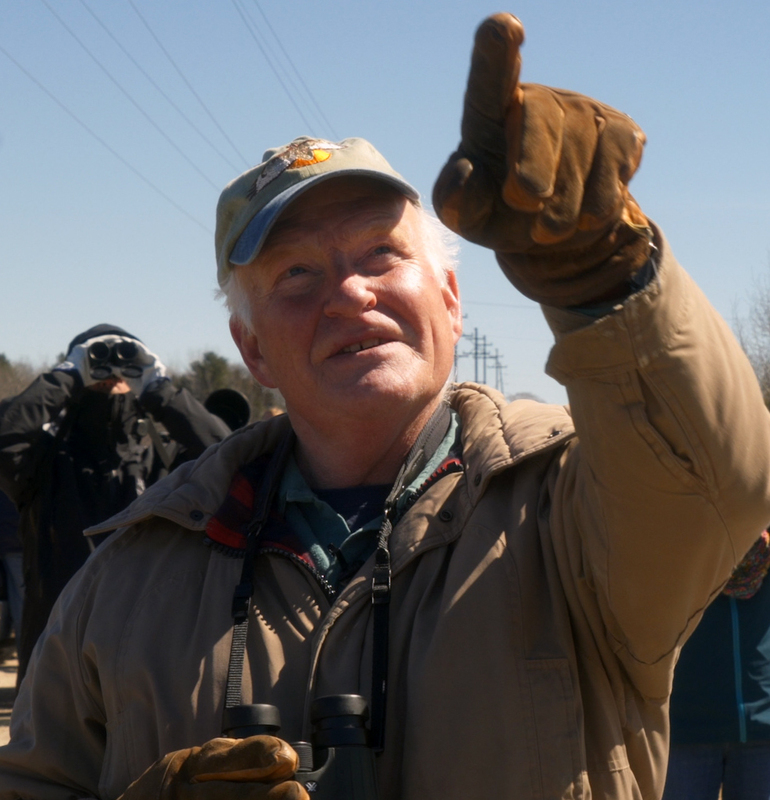 At the center of this gathering of birders, you are likely to find Ed Pike, the Chairman and co-founder of a nonprofit organization known as the Mackinac Straits Raptor Watch (MSRW). Pike became a birder as a young man and got hooked on ornithology while in college. For decades, he has been involved in documenting migratory birds moving through the Straits area. Organized four years ago, the MSRW is operated by volunteers to conduct scientific studies of migratory birds and provide public education. A key part of that activity is maintaining regular, season-long counts of the raptors moving across the Straits. The organization’s co-founder and Secretary, Kathy Bricker says that the seasonal bird count was extended to water birds two years ago. She says that before they began the counts, there was little dependable information on the numbers and species of waterbirds using the Straits area. Pike says that MSRW is helping to improve the data available on the numbers and species of migratory birds moving through the Straits area. This information is extremely important to an understanding of the health of migratory populations across the country. Watch the video to learn more about the concerns being raised about migratory birds, including the water birds frequenting the Straits area. To learn more about what MSRW is doing to encourage and support owl research, look for our next post: Mackinac Straits Raptor Watch – Part 2. Ed Pike and the Young Owl Banders.